MLS# 190003792 - 7986 Eclipse Rd, San Diego, CA 92129 - Abacus Properties Inc. Courtesy of Advance Realty Pacific, Jesse Sletteland. Rarely available! 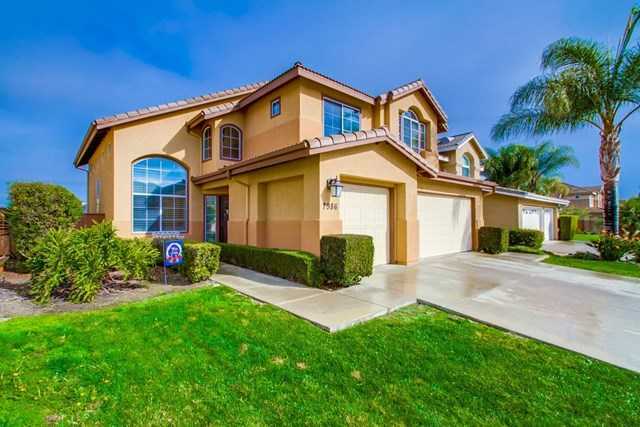 Gorgeous 5 bedroom home in Park Village on quiet dead-end street and in Poway Unified school district! Located in the heart of a resort-like community near parks and canyon trails and easy access to the 15 and 56. Entry foyer welcomes you to this spacious sun-filled home w/voluminous windows and vaulted ceilings. 1st fl bedroom w/adjacent full bath. Panoramic canyon views from 2nd floor. Enjoy the ocean breeze from the serene, relaxing backyard w/trellis covered spa. 3 car garage. Please, send me more information on this property: MLS# 190003792 – $1,100,000 – 7986 Eclipse Rd, San Diego, CA 92129. I would like to schedule a private showing for this property: MLS# 190003792 – $1,100,000 – 7986 Eclipse Rd, San Diego, CA 92129.